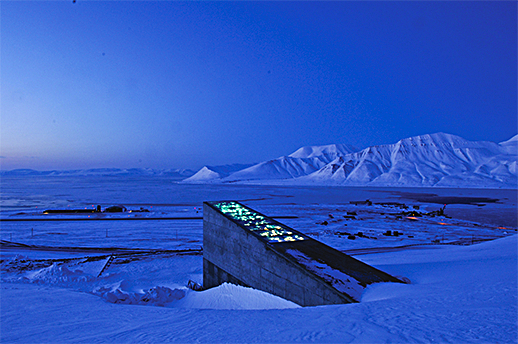 The 'doomsday vault' was created to preserve the world's plant biodiversity, preventing a potential global catastrophe. But with private investment from major corporate players, questions have been raised about who holds the keys. Arriving at the vault, she opens the heavy steel door and walks down a long concrete tunnel, built into the mountain. 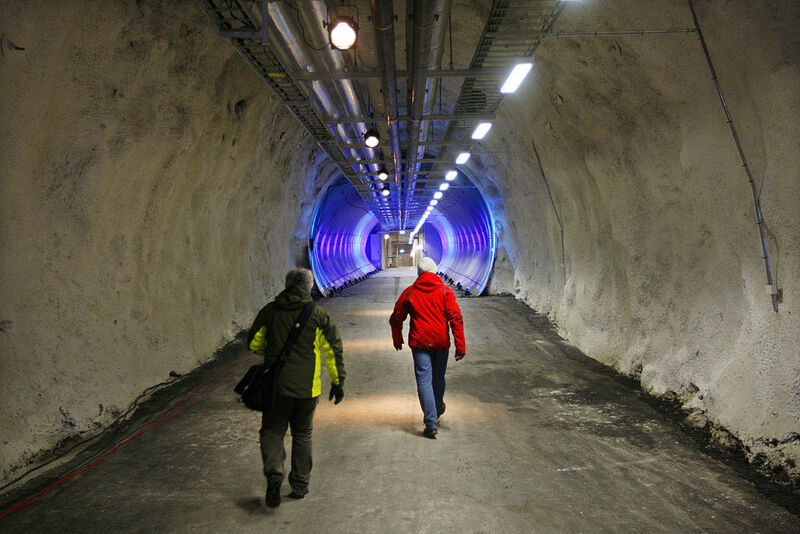 It’s another 400 feet to the seed vaults, located in the permafrost, where the temperature remains around minus 4 degrees Fahrenheit—a necessary inconvenience to ensure the preservation of the treasures hidden in envelopes and boxes, lined up on hundreds of shelves. Haga is the executive director of the Global Crop Diversity Trust, the nonprofit organization that created the vault with support from the Norwegian government in 2008. Today, the vault contains at least 930,821 seed samples of species and cultivars collected from almost every country in the world. The trust aims to achieve the largest diversity possible, to ensure food security in the event of a catastrophic global shortage. International organizations and the governments of countries around the world now understand, somewhat belatedly, that we are losing the natural diversity of our seeds, and therefore food sources for future mankind. The reasons are well-known: global warming, desertification, pollution, evaporation and loss of water sources, soil erosion, diseases, insect damage, and industrialized agriculture. The United States, for instance, has lost in the last century about 90 percent of its fruit and vegetable species. China has lost about 90 percent of its rice varieties since the 1950s alone. Many countries around the world maintain “plant gene banks,” in which each country keeps the genetic samples of its various plants and seeds. In the world today, there are 1,750 such banks, of which some are international, some national, while others are the private collection of a university or a scientific institute. Most began their work in the last 40 years. 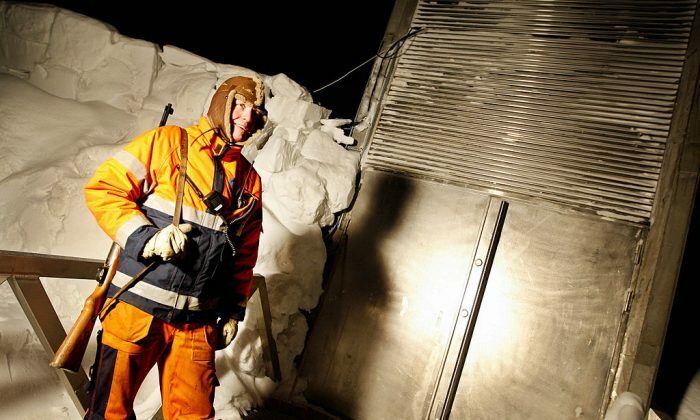 The “doomsday vault” serves as the backup for these banks. 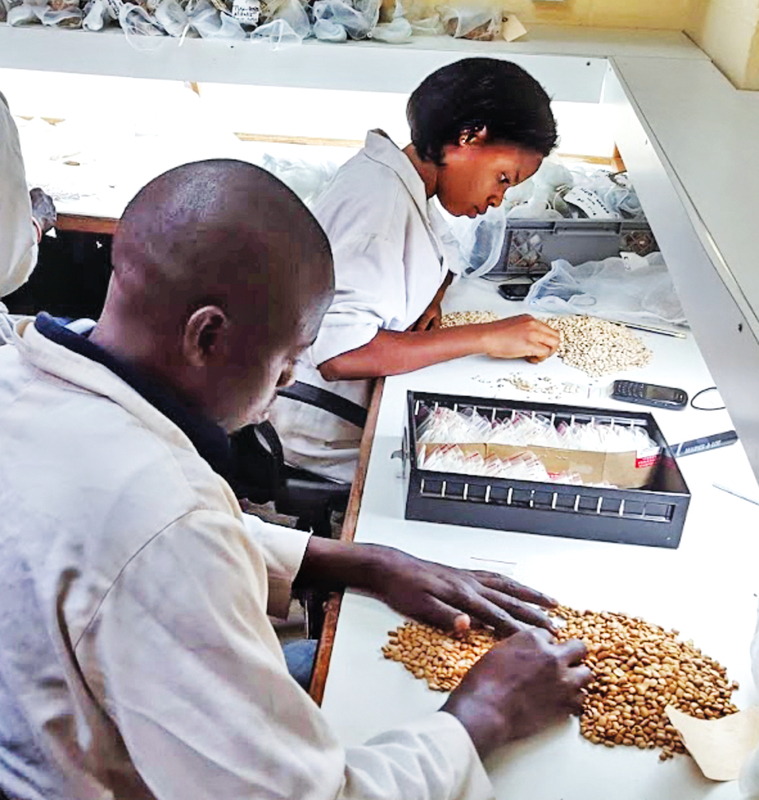 It stores replicas of their seeds, to compensate for the instability of normal banks, such as losing funding and closing, or suffering equipment malfunctions, like a faulty cooling unit that damages their precious store. A few gene banks were recently caught in situations of war and terror, like those in Iraq and Afghanistan, resulting in an unrecoverable loss of very ancient seeds. The ICARDA, a seed bank for crops adapted to arid environments, nearly lost its collection when civil war broke out in Syria. Luckily, it had already transferred its seeds to the Svalbard vault, which was then able to send them back. In recent years, many countries have been purchasing agricultural land in foreign countries for both commercial and food security interests. In 2012, researchers at Sweden’s Lund University found the majority of countries in the world, 126 out of 196, had bought or sold agricultural land to their peers. But the global land trade was dominated by three countries: China, which as of 2012 had purchased land in 33 countries, followed by the United Kingdom (30 countries) and the United States (28 countries). Countries such as Brazil, the Philippines, Russia, and Ethiopia are on the list of those selling portions of their vast lands. But purchasing agricultural land is not enough to ensure food security. What would happen, for example, if China was no longer able to grow crops on its lands in the Democratic Republic of Congo, due to changing weather conditions or damage from pests? What if only one specific variety of wheat or rice could survive the new conditions—for example, a rare variety that can only be attained from a remote location in the Americas? 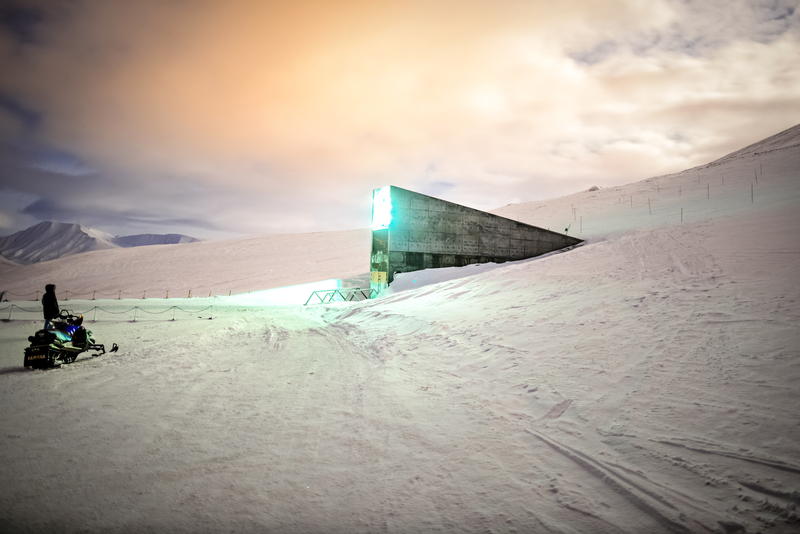 That’s where the seed vault comes in. A successful case in point is the restoration of cassava, a food crop that most likely originated in Colombia. Today, it grows in Africa and Asia, in countries like Thailand. A plant disease broke out in Thailand, threatening to wipe out all existing cassava plants in the area. A variety of cassava found in a plant gene bank in Cali, Colombia, provided the solution. “The incredible thing was that that particular type was collected at random in a field in 1967, and then stored in the gene bank,” Haga said. However, the Crop Trust has been the subject of controversy, particularly around questions of who funds the vault. With a lack of government funding, the Crop Trust began approaching private companies for support, and now counts among its sponsors major global players like the Bill & Melinda Gates Foundation, the Rockefeller Foundation, Monsanto, Syngenta, Dupont’s Pioneer unit, and the German seed company KWS. Critics have questioned the motives of major companies like biotech giant Monsanto and chemicals giant Dupont in sponsoring a bank for natural plant diversity. In the event of doomsday, who would hold the keys to open the vault when we really need it? The Epoch Times spoke with Haga to learn more about the Crop Trust, its sponsors, genetic engineering, and the global effort to preserve seeds. All the gene banks who work with us are required to sign an international agreement that legally binds them to share their plant materials with others. We only work with banks that are willing to openly share their materials. The Epoch Times: How many gene banks does the Crop Trust manage around the world? Marie Haga: We manage all the international ones and also work with 130 national banks that store unique materials. We provide them with sources for funding, and all kinds of support. 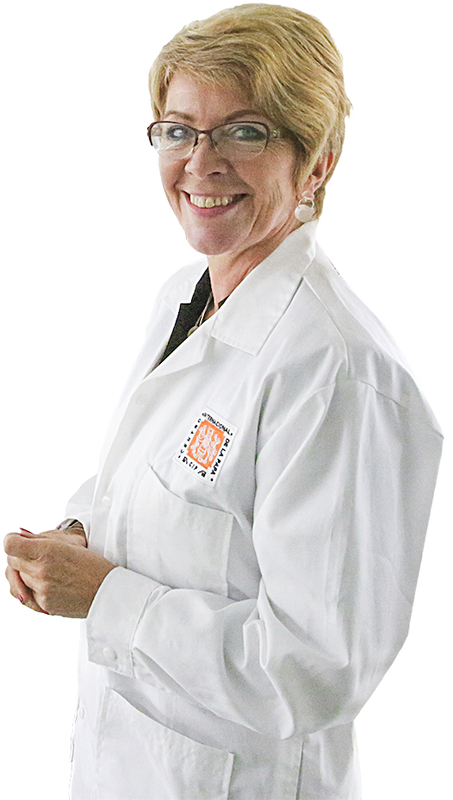 Marie Haga, executive director, Global Crop Diversity Trust. The Epoch Times: How do you work with different gene banks? Do they simply allow you to replicate their materials? Ms. Haga: All the gene banks who work with us are required to sign an international agreement that legally binds them to share their plant materials with others. We only work with banks that are willing to openly share their materials with other countries, farmers, scientists, and so on. The Epoch Times: However, there are countries that have not signed the agreement, the International Treaty on Plant Genetic Resources for Food and Agriculture, including several in Africa. Ms. Haga: That’s right. China is another. The Epoch Times: Why do you think they have hesitated to sign? Do you think it’s because of concerns that they would lose their unique assets, and therefore their strategic advantage over other countries? Ms. Haga: Yes, that is most likely the reason. It is, of course, a grave mistake, because nowadays we are all interdependent on each other. Take, for example, Canada, which had trouble growing wheat. Scientists there developed a new type of wheat created through natural pollination using varieties from different countries. Without such cooperation, it would never have come to fruition. There is no country in the world that has all types of seeds. If some countries choose to withhold their materials, all of us will suffer for it, including those countries. The Epoch Times: In that context, this question arises: Why do large corporations, like Dupont Pioneer and Syngenta, which spend most of their time developing genetically engineered strains, choose to invest millions of dollars in a project meant to preserve the natural variety? 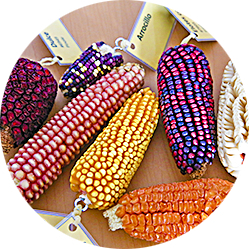 There are thousands of different types of corn in the world. Ms. Haga: We believe there are many reasons for the private sector donating to us. We also know that in the near future, governments would have a hard time budgeting financial support. That’s why we create cooperative relationships with private companies—for example, World Coffee Research. So yes, the organization is funded by the large coffee companies, yet we work with them to develop a plan for the preservation of all different coffee types in the world. The Epoch Times: Is coffee in danger of extinction? Ms. Haga: Yes, it is quite susceptible to climate change. Arabica coffee has adverse reactions to any climate change, and much research is needed to figure out how to protect it. That’s why we work with companies like Starbucks that invest in preserving the diversity of coffee. Where would Starbucks be without coffee? Starbucks The Crop Trust works with Starbucks to research ways of preserving coffee biodiversity, since the coffee plant is sensitive to environmental changes. We are forming a strategy to preserve coffee, and hope the large coffee companies donate to the project. The Epoch Times: Does the coffee organization pay you to do that? Ms. Haga: They paid us to create the plan. The Epoch Times: But then in the future, would they have any kind of veto power over the use of those seeds, such as deciding who accesses them? Ms. Haga: Not at all. According to the strategic plan, we are to identify the gene banks with the important coffee varieties, and create a plan to fund them. The Epoch Times: What about other companies like Syngenta who donate? What kind of agreement do you have with them? Ms. Haga: It is a relatively small amount of funding that comes from private companies. As of today, it is less than 5 percent of the total. We also get a little funding from industrial organizations. Such funding from private companies or organizations doesn’t confer any special rights or advantages. The Epoch Times: However, they are allowed to freely access the gene banks all over the world. Ms. Haga: That is true, but any party of interest in a certain country that signed the agreement has free access to those seeds. In other words, funding the Crop Trust is unrelated to having access to the seeds. The Epoch Times: The project under your management declares that it will prevent future starvation, but today, people are already starving—in Africa for example. The starvation is also related to the fact that foreign companies purchase or take control of natural resources, and block the local people from accessing them. Some of those companies donate to your project. How do all these come together? Ms. Haga: That’s a big question. I think the Crop Trust’s power comes from remaining apolitical. We tell governments it’s their decision how to use the variety of seeds they gain access to. We do not decide. What’s important to us is that governments preserve their natural resources, otherwise they won’t even have the ability to make certain political moves. And we suggest they make sure their genetic material is open to everyone, so that no private company is able to lock it in its private safe. The Epoch Times: Do you support a decision, like that of Syngenta, which will manufacture varieties of genetically engineered crop, via access to gene bank seeds? Ms. Haga: We don’t take a stance with regard to genetically engineered strains. Our job is to preserve the diversity. Let the politicians decide whether they want GMO or not. The Epoch Times: Does that mean you think genetic engineering is inevitable? Ms. Haga: As the Trust Director, I take no stance. I leave that to the politicians. The Epoch Times: And yet? Ms. Haga: We started this project because we believe in the natural diversity of crops. It provides many many options, yet untried. To avoid genetic engineering, the best thing to do is to ensure we don’t lose even a single crop variety. The Epoch Times: What about research done on plant DNA? How does that affect the project? Ms. Haga: DNA research is very valuable to us because we know very little about the seeds. We don’t know their properties, so we engage in many experiments seeking the resilient ones. To find the one kind of coffee that is resistant to drought, we check thousands of different kinds. If we use the tools that genomics make available, we’ll probably be able to narrow it down. 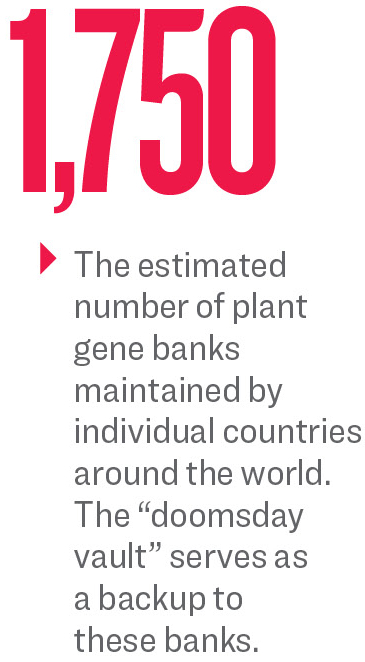 Today’s plant genes bank resembles a supermarket that lacks product labels. We talked about wheat. If you look for heat resistant wheat, but you have 125,000 different kinds, you’d have to pick randomly. There is a wheat in Canada that was crossbred from 26 different cultivars, and took 15 years to develop. If we knew more about the different varieties, we’d reach conclusions faster.